Usually we wait until September to start going back to the museums, but when I told Mik about the Babe Ruth exhibit he wanted to go when it opened. That didn't happen due to my slow healing pinky and then the weather (humidity and rain). Today we finally managed a decent weather day and even decided to roll/walk home instead of taking the metro so Mik could get a better feel of the neighborhood and using his power chair again (recently got repaired after being out of commission for over a year). 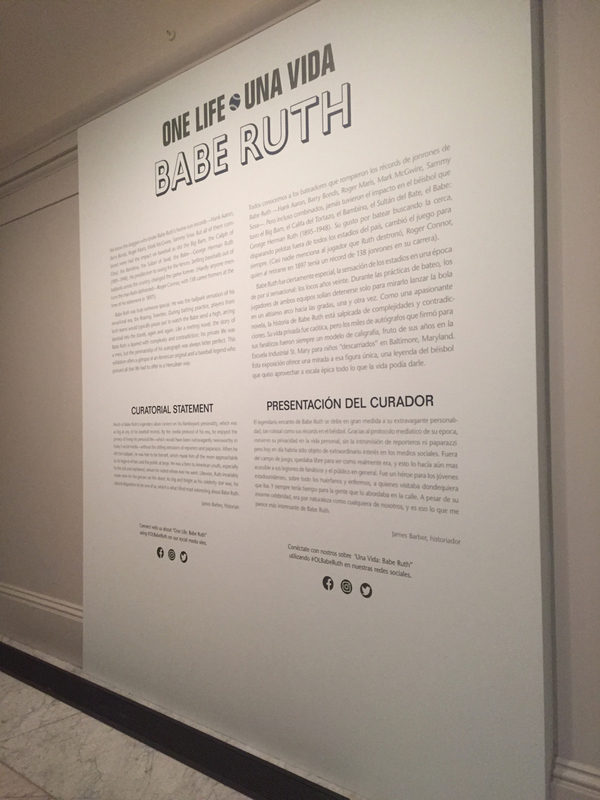 The exhibit was a little disappointing in that it is just one small room. It's well done and gives a good overview of Babe Ruth's life, but we've been to the Babe Ruth birthplace museum in Baltimore and this exhibit just seemed a very small scale version of that museum. However, that museum is not accessible (or at least was not back in 2009), so Mik liked this exhibit a little for easy access. He didn't like that he couldn't get close enough to be able to touch most of the options to play the videos on the one multimedia part of the exhibit, though. Even though the exhibit was disappointing, it was still a fun outing because there's always something interesting to discover at the National Portrait Gallery. For example, Mik enjoyed seeing the portrait of Kevin Spacey as President Frank Underwood from House of Cards in the Recent Acquisitions area. Plus, we enjoyed catching some Pokemon while sitting out front having a snack. 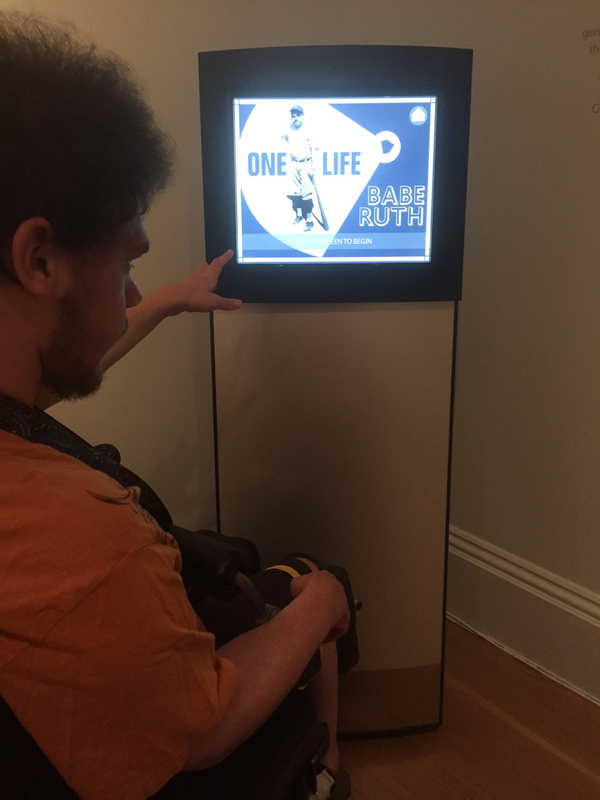 Go here to see our review of the National Portrait Gallery for more general accessibility info. It's a few years old, but all still applies as far as we've noticed (Mik has no desire to ever recheck that tiny elevator).